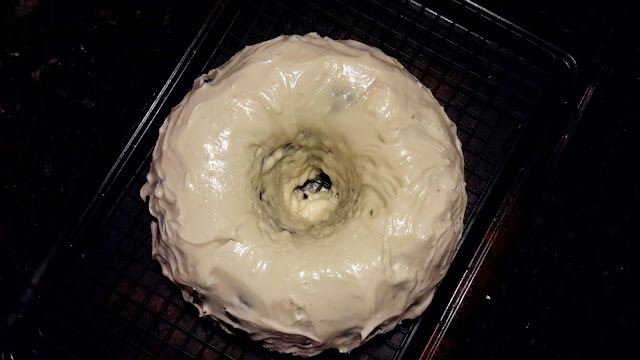 Chocolate Stout bundt cake with whiskey Baileys glaze! Where have you been all my life? The bundt cake itself is very chocolatey and moist and perfect; and the frosting - even better. I didn't have any whiskey or Baileys on hand so I used Jim Beam and Kahlua for the glaze. It still tastes awesome. 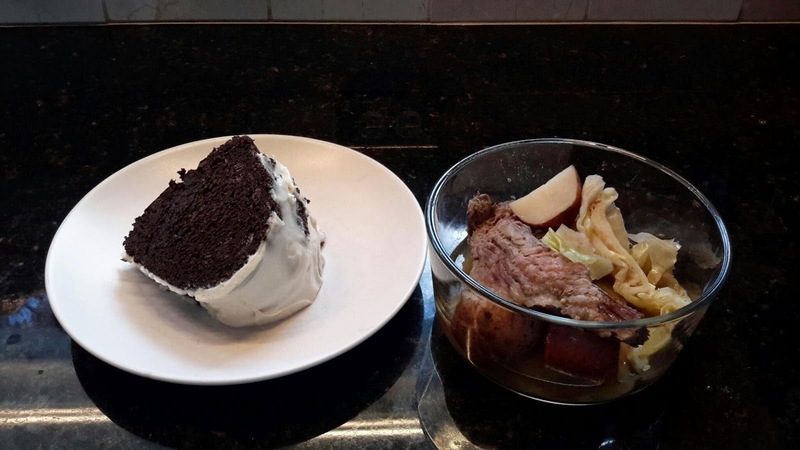 Add some corned beef and cabbage and you're all set and ready to have a happy Saint Patty's Day. I hope you all had a good one! Making good steady progress I'd say.